Open Source vs. Closed Source: What’s the Difference? Open Source: denotes software for which the original code is made freely available and may be redistributed and modified. Closed Source: unlike open source systems, the creators or owners of closed source software (also referred to as proprietary software) do not share their code. WordPress (open source) or Squarespace (closed source). Typically, open source dominates—or at the very least, gives closed source a run for its money—in various software sectors like mobile, database, and web front-end. Open source enables users and developers to continually update, customize, and expand the platform. Conversely, closed-source solutions tend to be more user-friendly, secure, and offer direct support. Why Do I Love Open Source? I am a very big advocate of open-source products, like Moodle and its corporate offshoot Tot ara. I believe open-source products offer more flexibility for using a best-of-breed content strategy—in other words, developers can incorporate the best content and e-learning tools for their specific needs. Open source allows more customization, and when deployed to its best abilities, open-source technology still provides security, ownership of data, cutting-edge technology, and high service standards. One of the more common questions I receive is around security. A common misconception in the market is that an open-source product isn’t secure. It is actually quite the opposite! While some open-source products can feature lower security than closed-source offerings, that isn’t always the case, and there are lots of open-source programs out there that amp up the security. Moodle consistently releases an update once every six months. These updates not only incorporate new user-requested features but provide security patches to combat and prevent any potential issues. Also, as an open-source product with visible code, the Moodle community is able to find and note any security issues. This means security glitches are recognized much faster and patches are turned around almost immediately. So really, the more eyes on the code, the better. Another aspect of security, but an important advantage on its own, is the ownership of your own data. With a closed-source solution, the software proprietor is often the only available support for your LMS. As your sole vendor, they have the power to raise prices or even charge you to buy back your own data if you decide to switch solutions. With an open-source system, you will always own your data and your LMS code. If you ever find that your provider or hosting partner is dissatisfying, you can easily bring your learning platform in-house or move to another service provider. Open source leaves you in charge of your data, and rightfully so. With an open-source product like Moodle, you can expect the most up-to-date system. Users constantly monitor and improve it, ensuring the integrity of the code. As a result, open source often means a higher-quality solution. Not only do you have the developers at headquarters constantly working to make sure that Moodle is incorporating cutting-edge technology and features, but you also have a community of developers across the globe who can contribute to the code. If there is ever a gap in functionality, any developer can work on the functionality that they would like to see and then contribute the update to the Moodle community. These updates can be added into the core code or added in through free plugins. Speaking of plugins, as Moodle is modular in nature; the platform is incredibly flexible. There is typically more than one way an objective can be accomplished within the system, so Moodle really encourages a best-of-breed approach. On the other hand, with closed-source solutions, there is only one team of developers working to keep their system up-to-date. Also, there is typically only one way to accomplish an objective, and it may not be what works best for you. Closed-source platforms are typically more rigid in terms of flexibility and customization options. As previously mentioned, the vendors of closed-source solutions are solely responsible for product development, so you pay for not only the LMS license and support, but also the upkeep and evolution of the product. This may be the biggest advantage for an open-source LMS, because when you go open source you don’t pay for licensing fees—only for service. This means that you should expect the highest level of service from your open-source LMS provider. When evaluating any LMS option, make sure that you are asking about their level of support. These are a few of the important differences to consider between an open-source and closed-source LMS. What it comes down to is what level of control and flexibility you will need with your LMS. In particular, if owning your code is important to you and you will want to have the ability to customize your platform to meet your specific needs, then open source is the way to go. If you aren’t sure whether a closed-source or open-source LMS would be better for helping you meet your e-learning goals, or if you’re concerned your current software is restricting you, it may be time to talk with an e-learning expert. 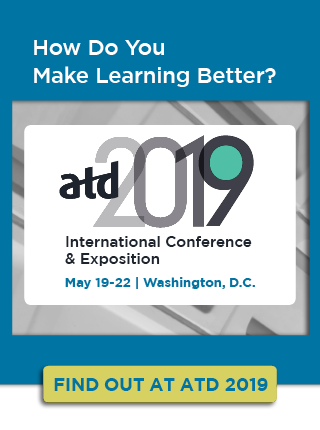 For more insight, join me at the ATD 2019 International Conference & Exposition in Washington, D.C., where I will be presenting on “Hacking the LMS Evaluation Process: Strategies and Considerations for a Smooth Selection” on Sunday, May 19, from 3 to 4 p.m. in room 151. Editor's Note: Adapated from the post, "Open-Source vs. Closed-Source: Why the Technology Your LMS Uses is Important," on the eThink Blog. Brian Carlson co-founded eThink Education more than nine years ago. He has more than 14 years of education technology experience, including six years at SunGard HE (now Ellucian) as a senior technical consultant where he worked extensively with student information systems. He holds a BS in physics and astronomy from The Evergreen State College and is active in advising entities on e-learning initiatives through outside advisory roles.